Corporate AnswerCox Communications (Tucson)CenturyLinkAnyone Home, Inc. The Stardust Foundation recently recognized the work of First Place AZ with a $1 million grant. 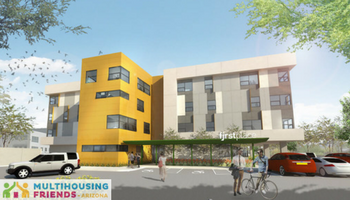 The nonprofit works with adults with autism and other disabilities to find housing options and is currently constructing First Place Phoenix, a new apartment 56-unit community that will help to meet these needs. “This gift leverages more than a decade of patient counsel and contributions by Stardust and Jerry Bisgrove, who impressed upon us early on the importance of connecting the dots needed to build a supportive, engaged community,” said Denise Resnik, First Place AZ founder and president/CEO. This grant adds to the $21.3 million capital campaign underway to fund the new multifamily community that will offer an array of supportive services in addition to the housing. 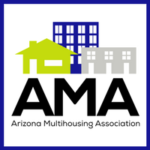 The Arizona Multihousing Association is the recognized voice and authoritative source of information on the rental housing industry in Arizona.